SchoolChoice season is here! January 15 marked the official start of the DPS School Choice window, which runs through February 15. For our friends in Aurora, the Aurora SchoolChoice process also opened on January 15, and will run through February 28. We need your help more than ever in spreading the word about DSST. One of the most powerful ways to encourage parents and caretakers to send their children to DSST is through the testimonials and trusted advice of another parent. Now is the time to share your own positive experiences and encourage your parent network to check out DSST for themselves! We’ve outlined four things you need to know about SchoolChoice this year. 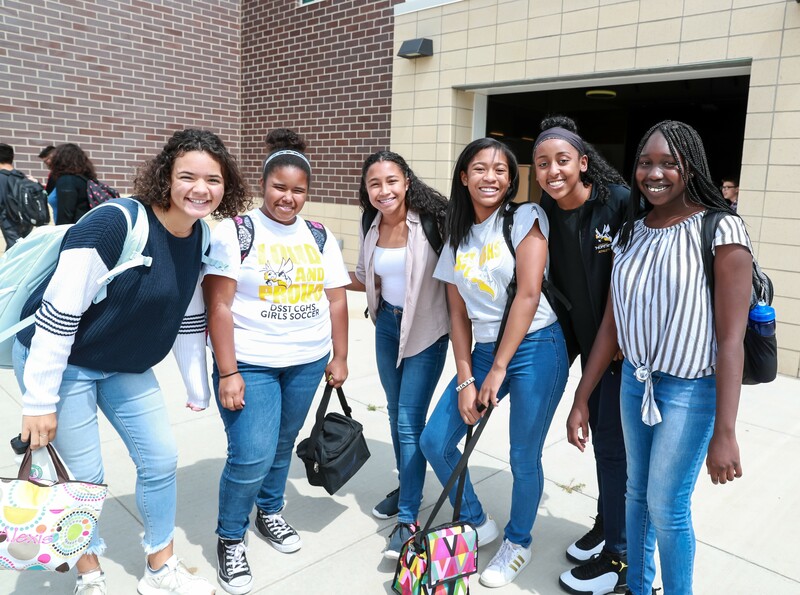 If you know someone who is unsure of where to even begin navigating the SchoolChoice process, send them to our Enrollment Guide. This gives helpful information on how to choose a school, attend an Open House, and enroll! Looking for other ways to get involved and learn more? If you haven’t already, follow us on Facebook, Twitter, or Instagram, and feel free to share out our network or school news. Email us a testimonial of your own, and we will share it during the choice window. Sign up for our Advocacy Newsletter and be the first to learn about opportunities to represent DSST. RSVP for the DSST Parent Leader Institute on Saturday, March 2! Come learn about the education landscape, what’s really going on in our school district, and how we can continue elevating our voices! Thank you again for your ongoing support of our network and our students!